Sharing content online is more than clicking "like" or "tweet this." Sharing what you find online to your networks says a lot about you, and can attract or repel depending on a few factors. But sharing content is what the writer wants you to do for reasons all their own. To grow their own network or following. 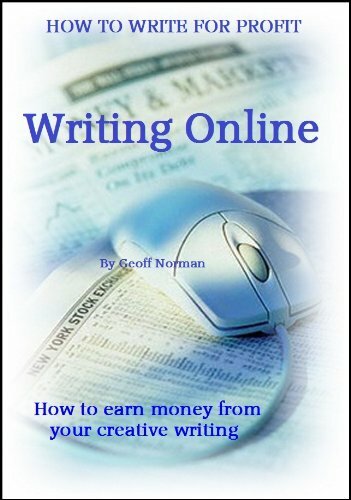 And, all that traffic is one more source of income for the writer - at no cost to the reader. It's an interesting combination of people connecting and supporting one another. It only takes a moment and could mean a big difference to the writer and the site. I'll ask again: Do you share? Words. Words with pictures. Pictures with words. At first the Internet was AOL, their giant advertising welcome page and email. Then chat. Then websites that were nothing more than pictures, with words and a phone number so you could call the company. Yes, at first, the Internet was the phone book come to life. Sort of. Fast forward to today, it's where we go to first to find anything. Everything. Even things you never thought possible, like watching a video of a talking dog. Or cat. And the content is more than words, it's now video, live streaming, podcasts and pictures. But the words are still there, describing, telling a story. The Internet is now the library, the encyclopedia, the catalogue, the movie theatre. We fill it with our photos and the stories of our lives. We find things that are interesting and we share it, quickly, to the masses - well, our own little masses - of people we're connected to in order to give them a glimpse of what makes each of us our own unique self. For every question there is an answer, online. Google the phrase "make money blogging" and you'll get more pages of information than you'll ever want to see. But that is what makes blogging fun. The possibility of making money from your own creativity. And regardless of whether your blog is about family, crafting, cooking, banking or even keeping a zoo, at some point, you're going to think; "Hmmmm, I wonder if I can make money with my blog?" 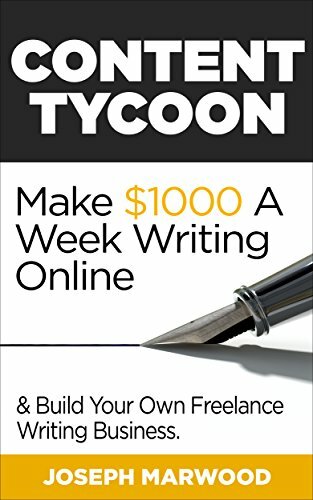 The short answer is yes, it is possible to make money with a blog. The long answer, is way to long to discuss here, so I'll sum it up: With a lot of careful planning and consistent action, yes, it is possible. But re-read that first part: With a lot of careful planning and consistent action. Action. Here's an "Action" that some people don't realize how important it is to a writer, even though it seems like such a small and sometimes very personal thing: Sharing. See Those Floating Buttons To The Left Of This Article? Boost the articles online visibility, increase traffic and ad revenue. Many sites use Ad Revenue, like Google Adsense as one stream of income. Just having someone land on the page adds to the sites income, all be it in very small increments. But, with enough traffic, those little bits can add up. Getting people to the page is the work. Using the social sharing buttons located on the page are the tools for sharing. But how many of those tools are you using? Here on Wizzley, there are the "big guy" icons listed seperately from the crowd of sites grouped together in the Add This box. So how do you decide which ones to use? Personally I use the big guys, Facebook, Twitter, Google + and Pinterest for most articles. I only share to LinkedIn when I deem the content something I want to share with my professional network. But what about all those icons in the Add This box? For some time I've been using Stumble Upon, Digg and Tumblr and I get quite a bit of traffic from those sites. But should I be sharing to more? There are what looks to be over 100 other places I could share to. I know I could spend a few hours a day for probably a few weeks going through each of the icons listed in the Add This box. But I'd rather ask you: What sites are you using to share content? As writers we want our work read. What are you doing to share? When you're done writing an article, do you share it? Do you have a list of sites you share you content to on a regular basis? After you've written, published and shared your own work, do you spend time on the site, browsing other articles? Are you connecting with other writers and following their work? Do you read, comment on and share other writers work? What sites are you using to share/bookmark that are listed in the Add This box? Thank you for reading (and sharing!). I look forward to your answers. NanciArvizu, Which of the "big guys" generates the most income and views? Thank you Correen. You've tripped my trigger too - wondering about keeping track of all the links and sharing. You make a spreadsheet and then what? Have you used - or consider using - any social media monitoring programs/apps? Since you're the third person to mention Delicious, I will give it another try. The Tag Bundle feature sounds interesting. Thank you Linda! I haven't tried ArticleBase, Go Article and SheToldMe, but I will check them out. I like using the share sites that are super easy - like Digg - only taking a few clicks to share, which makes it an easy task. Having external links to content/pages is still good - but ultimately it comes down to what is on the page, in the article content, that matters the most. And consistency! Thank you for the input. Have you tried DiggBook to share articles about your books? I'm having good results, even though I just started using it. I haven't used Delicious in a while either, will have to try it - it has to be easy to use! A few clicks or I'm not interested. Do you think asking readers at the end of an article to "Please share" is too pushy? My sharing of my own work gives me an indicator of what works best. Stumble Upon is by far the best. Facebook and Twitter are goind well enough, but my followers there are fewer than many people's. Pinterest is in the mix, but with less than wonderful results. I have to get back to using Digg, and I once used Delicious. They cannot hurt. Linkedin is not in my mix, it is for professional contacts. One thing we never know is what effect we have on other people's work.